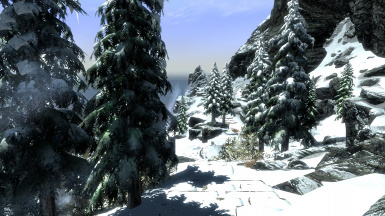 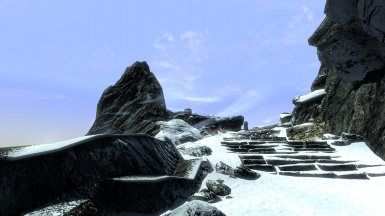 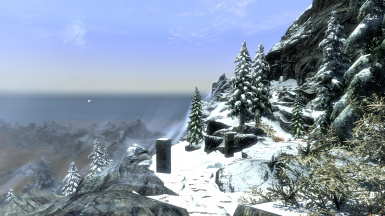 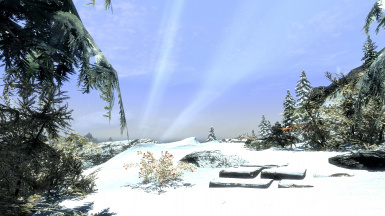 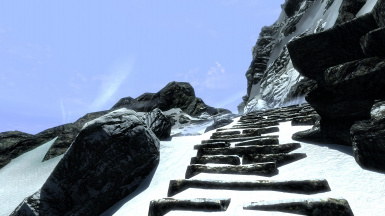 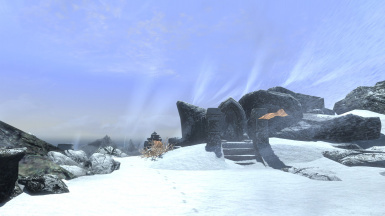 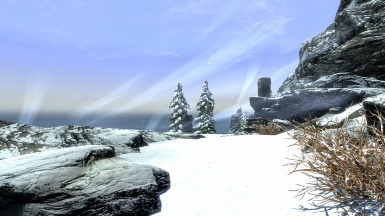 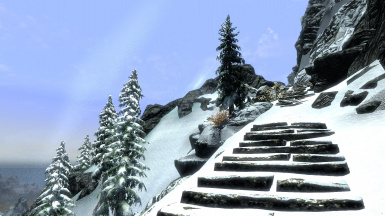 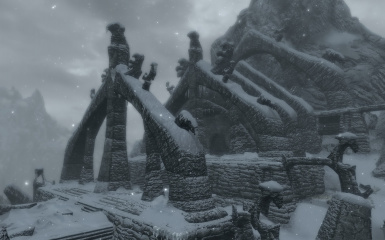 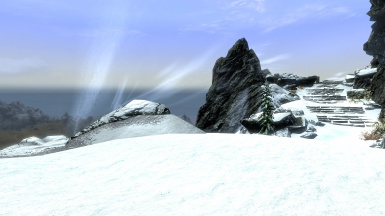 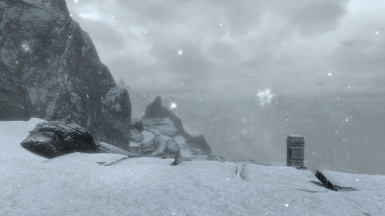 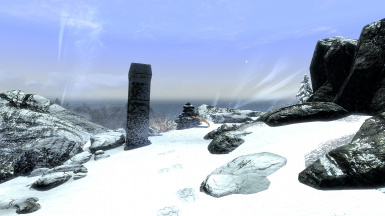 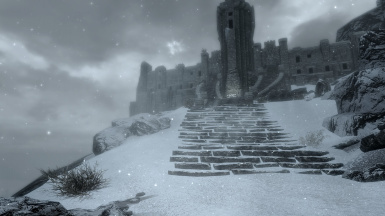 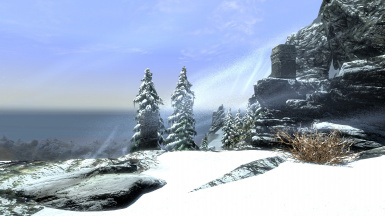 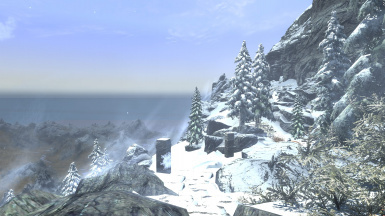 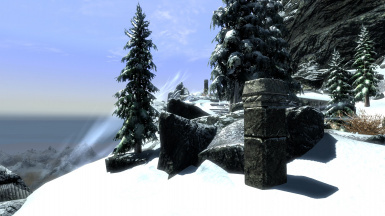 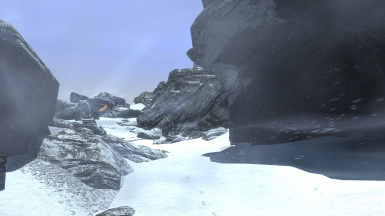 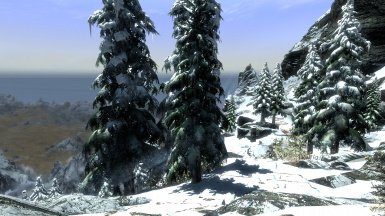 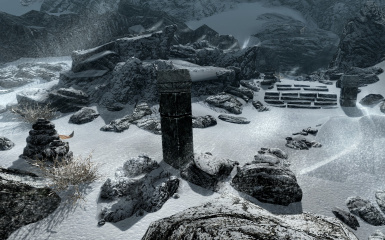 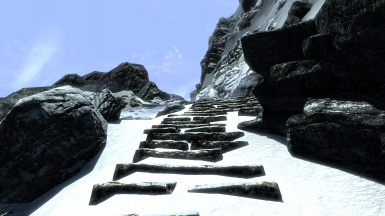 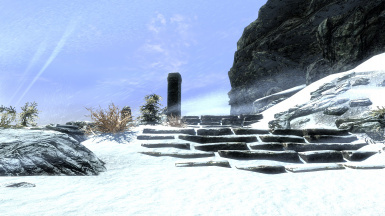 This mod retextures the blowing snow effects that are seen in the artic type areas of Skyrim. I have also included snowflakes to replace the vanilla falling snow. 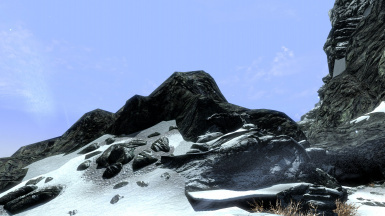 Available in x256, x512, x1024 and x2048 size textures. This mod retextures the blowing snow effects that are seen in the artic type areas of Skyrim. 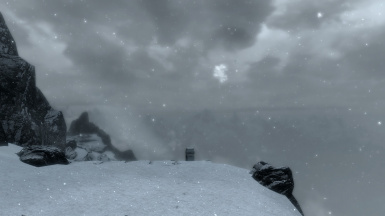 Bethesda appears to use the smoke textures whenever possible, so I have replaced them with ones I think are more appropriate to the effect. 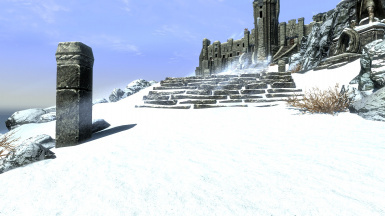 I have also redirected the snow effect meshes to use these new textures so they will not interfere with the smoke used in other parts of the game. 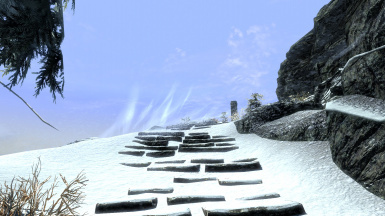 I have also included snowflakes to replace the vanilla falling snow. 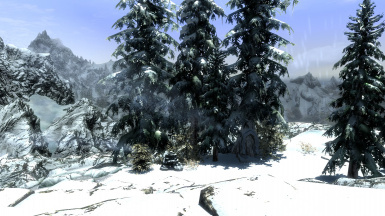 If you don't like them just overwrite with your favourite ones or simply delete. 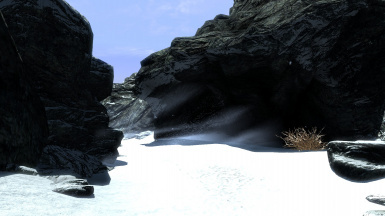 This mod will conflict with any other mod which changes the textures and meshes. I don't know of any off hand but if anyone comes across one, please post a comment and I'll see if it is possible to patch. 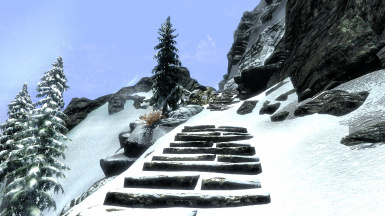 If you prefer another snowflake mod, I've left the paths at default so they can be over written easily. 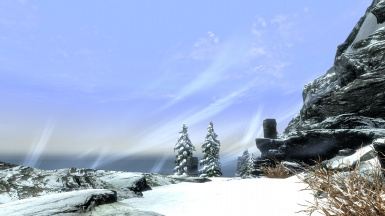 Compatible with weather mods COT, RCRN, etc. 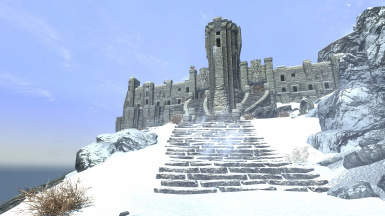 version 1.0: initial release. 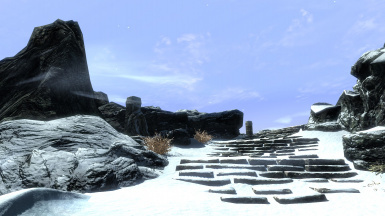 Added some denser look textures to bring it closer to vanilla's by user request as a optional look, I personally still prefer and recommend the original ones. 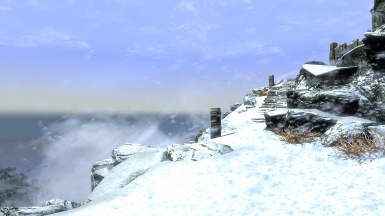 version 2.0: Overhauled all textures including snow flakes and made the blowing snow effect look more natural (in my opinion). 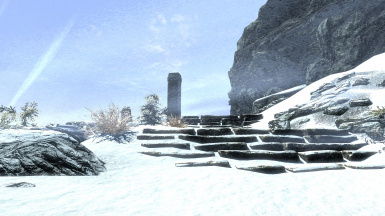 Fixed the snow effect looking pixelated when very close (this may still occur with x256 version). 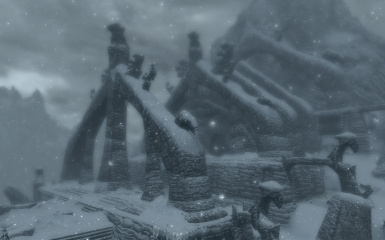 Fixed a texture that was preventing heavy snow storms from displaying correctly. 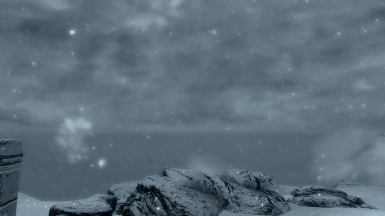 Included snow flakes in main files because I got bored with uploading so many files. Unless any errors, serious issues are discovered or I uncover a even better technique to improve it more this will probably be the final release. version 3.1 Lots of credit and thanks to Octopuss for all his wonderful help and creating, yet another brilliant video for me. 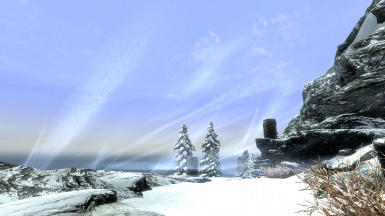 Many thanks to hodilton for this brilliant video which shows the effects much better than I could ever of achieved.